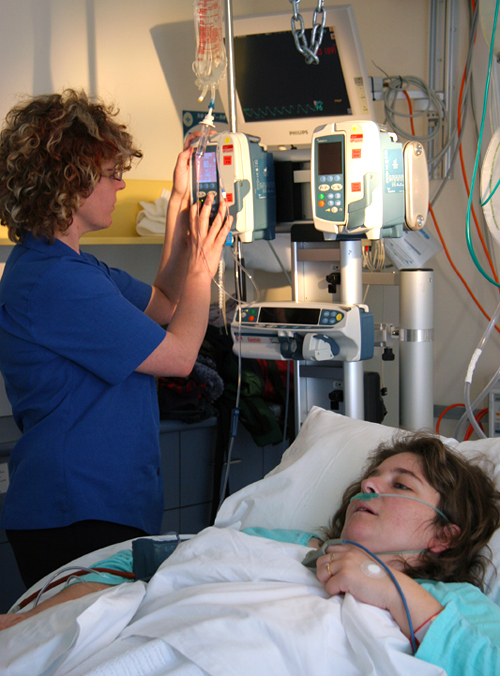 Our Critical Care Unit (CCU) at Northeast Health is a level two intensive care unit with state-of-the-art monitoring and diagnostic equipment. We have a team of specialist doctors, critical care nurses and allied health professionals providing specialised care for seriously ill patients with a wide range of conditions that require intensive monitoring and care. Visiting a loved one in critical care can be very distressing, and our highly trained staff will explain what is happening and, where possible, answer your questions about your relative’s condition and treatment plan. Visiting hours are unrestricted however we recommend a rest time between 1.00pm – 3.00pm for all our patients, and the timing of visits including the number of visitors will be at the discretion of the registered nurse in charge. Nursing staff can also restrict visitors upon request from patients or relatives. Children are allowed in CCU at the discretion of parents and must be under supervision at all times.